We were entertained by this live band with some musical journey of their creation. Such lovely music. 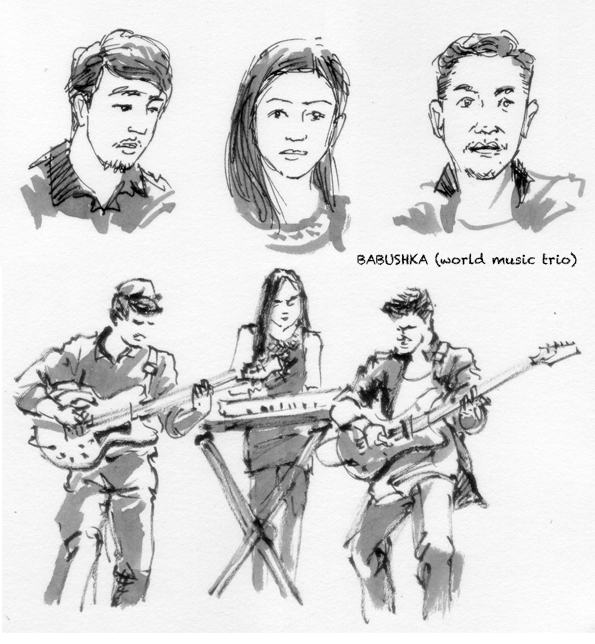 Here I did a quick sketch while they performed.